The Bookform technology scaffolds students to collect family and community life stories (any language & photos) into printable digital books using template questions, voice-to-text AI and collaboration, so many people can build the book together. Over the next few months Bookform will upgrade their story-collating functionality to be faster, easier to use, and ready to scale globally. Bookform Founder and CEO, Carey Furze said, “The pilot programs we ran throughout 2017 and 2018 with Bupa, Arcare and many schools, provided us with ‘proof-of-concept’ and so much valuable real-world customer feedback and data, and with the backing of AWS we will now be able to implement much better technology to ensure this world-first program will help every school and every community to collect and save their precious stories and culture into polished book products for everyone to enjoy, now and into the future. This technology is not just about saving valuable family information and oral histories, it’s about the process of engaging our young and our elderly in productive, educational communication, using technology as a tool to leverage more than ever before." The business model is a little complicated, as everyone involved in the program has different objectives: Schools need to educate and be efficient with resources, students need to learn and have fun doing it, Aged Care need to address more than just the physical needs of their charges, and the community as a whole want their kids and elderly to be happy, healthy and productive citizens. The Bookform projects address all of these needs and wants, plus curriculum requirements. 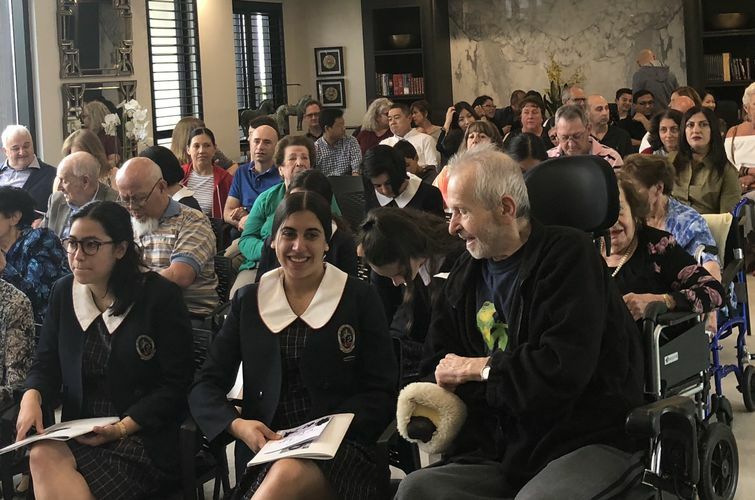 The Schools and Aged Care businesses are the customer who buy a licence to use the software, the students are the ‘users’ of the software for school projects or community service activities, and the families buy the printed book product. Books are gifted or sold at presentation ceremonies to recognise both the student’s effort and the elder’s value to the community and generates great PR for everyone involved. TV coverage. To date, Bookform has used Google’s voice-to-text functionality, but it was not very effective with accented voices or in noisy environments – like aged care. The voice collection software will be improved to minimise these issues. Bookform’s new website and functionality will be relaunched in time for term 1 2019. Pilot projects in Canada, US and Singapore will start in 2019.